As a Tweak, LiteLoader supports several different installation methods in order to accomodate a variety of environments, the simplest method being to use the LiteLoader Installer. If you're not sure what method to use, follow the Installation Trail. 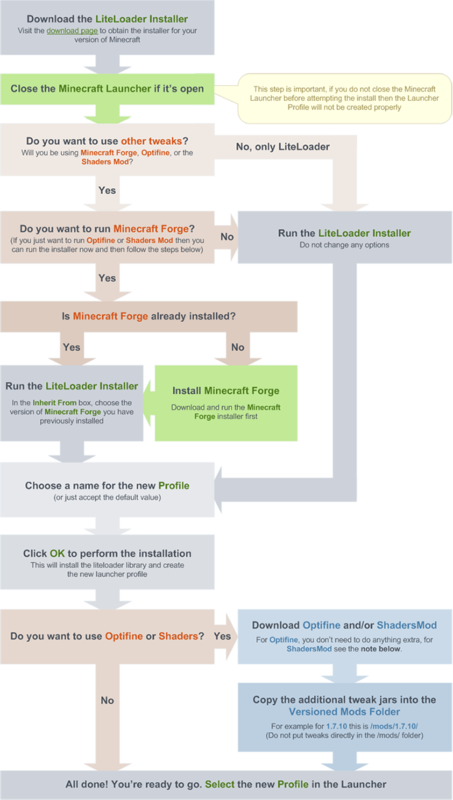 If you're not sure which is the best method for you to use for installation, you can follow the Installation Trail or follow the flow chart below.